This glazed ceramic bird bath is an attractive way to make sure birds are given enough clean water for survival in your garden. It can be used on the ground or hung or fitted on to a support ring, it is frost resistant and comes with a galvanised metal hanging chain. 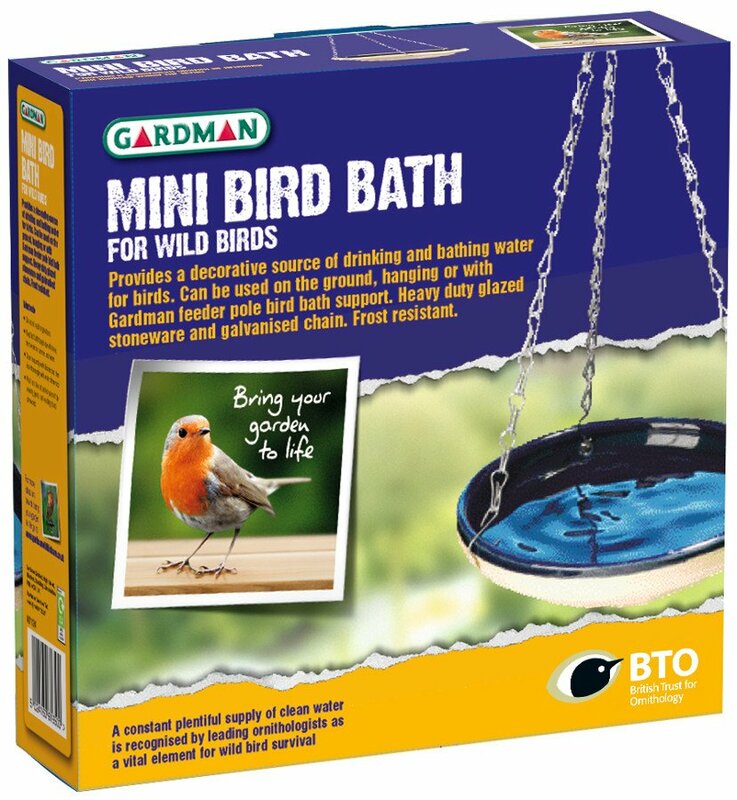 The Mini Bird Bath product ethics are indicated below. To learn more about these product ethics and to see related products, follow the links below. 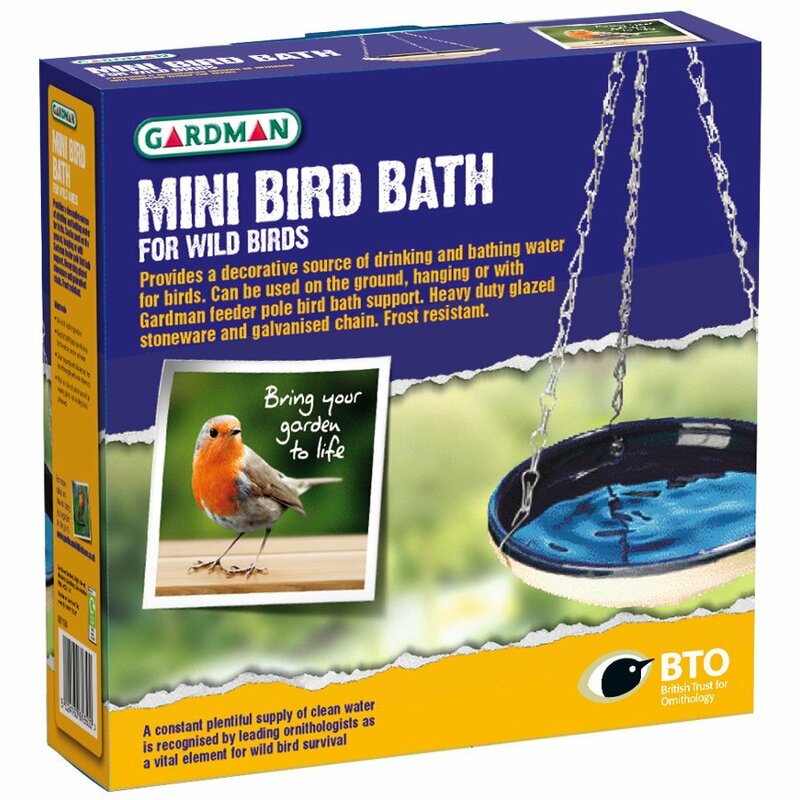 There are currently no questions to display about Mini Bird Bath.